Bonus on Top, 30" scapes, 6" flower, dormant, midseason, 3 way branching, 18 buds, tetraploid, 95% double. 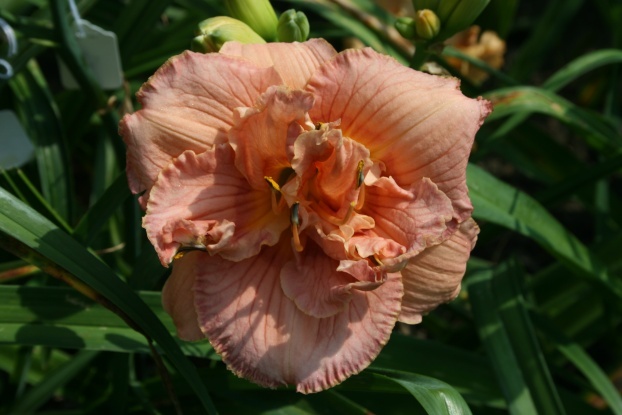 Seedling X Mary Lois Burgess. A lovely pink tetraploid double with wide segments. Hard dormant and very fertile both ways. Produces the biggest plants of any double I've ever grown. Although the plants are large, the foliage is low and arching and the flowers are presented well above the foliage. Inquire.